Within the school we offer the children an enriching creative curriculum that stimulates their love for art. We begin teaching essential schools from early years such as mark-making to KS2 where the children create beautiful tonal drawings of many subjects. Up to date information about this subject will be added during the autumn term 2016. Please check back for updates. We track the children effectively throughout their school journey to ensure they are always making progress and being challenged. The main skill areas we develop are the disciplines of drawing, painting, printing, textiles, sculpture and collage. Some lessons have rich links with topics being studied and Power of Reading books to engage and excite the children’s learning. 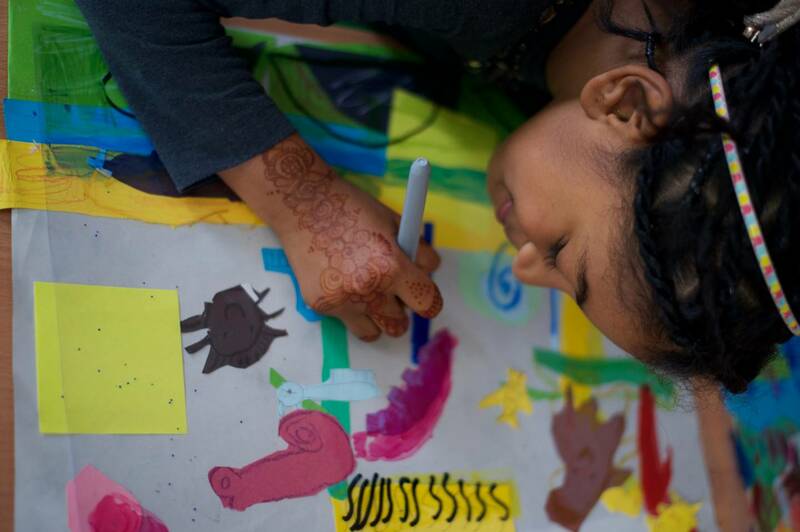 Children have the opportunity to study artists and create work in their style as well as discuss the concepts of art. We have established links with London art galleries that have visited the school to teach workshops and opportunities for the children to get hands on with different disciplines. Currently we have three arts club in operation for children of all ages including children’s illustrator William Grill who is teaching KS2 children lino printing techniques. Hanover currently has an artist in residence that works with children of all age groups that will result in a final exhibition where the children get the chance to show and talk about the fantastic creations.